As Rupert Murdock once put it, “The world is changing very fast. Big will not beat small anymore. It will be the fast beating the slow.” But it goes beyond speed, with the unspoken combination of effectiveness and efficiency that must accompany that speed lest you crash and burn. We also have to add flexibility to the mix, because what really counts is agility: the ability not just to roll with the punches, but to avoid them and other obstacles altogether while travelling down the right road. Sometimes, I think we’re living not through the Information Era, but the Hurry Up Epoch. Things are changing faster than we can keep up with in all areas of our lives — technologically and socially. We have to be like the Red Queen in Alice in Wonderland, running as fast as we can just to stay in one place. That’s fine as long as you take the initiative to maximize flexibility along with efficiency and effectiveness, and you don’t have to give up all your free time to do it. In fact, one of the great things about all this newfangled speed is that the onrushing technological change encourages it, yanking it up by its own bootstraps. The fact that your new smartphone will no longer be “bleeding edge” in three months is part of the price of this progress. All the changes not only make it possible to go faster but also easier to do so. We’re scrambling ahead in an upward spiral, widening and advancing personal and team productivity as we go. Unless you like the taste of dust, you’d best be leading the pack. That’s always been good advice, but it applies now more than ever. But speed won’t suffice: like Jack the famous candlestick jumper, you’ve got to be quick and nimble. Cycle and time-to-market speed has steadily decreased due to new technology and social innovations. One of the latter is that growing realization that executives are no longer limited to the C-Suite. Anyone in a position to execute strategy affecting the organization, from CEO right down to the low-level manager and foreman, is an executive. That’s part of the agility equation. While we may come up against human limitations that do slow us down eventually, right now out-of-the-box thinking rules, due to that most demanding mother of invention — necessity. If you can’t move with agility, you’ll lose the game. Speed and flexibility make that possible. So how do you do it? Get buy-in from your teammates and motivate them to move it, move it, move it (sorry — I’m channeling the Lemur King from the Madagascar movie)! Track their performance metrics, so you can congratulate them on how well they’re doing … or have a little chat in private about picking it up. Do everything possible to establish buy-in from all team personnel. Sincerely encourage initiative in a non-punitive environment. When you reward the fastest, most innovative workers, the others will want the reward too, so they’ll work harder at doing the right things right the first time. Keep careful track of performance, giving fast, effective employees special incentives while providing benchmarks for everyone to shoot for. Make sure they understand, too, that they don’t have to ask permission for every little thing, especially the obvious decisions. You can’t afford “slowest common denominator” thinking, because it destroys productivity. If someone just can’t get it, get them help or transfer them elsewhere. 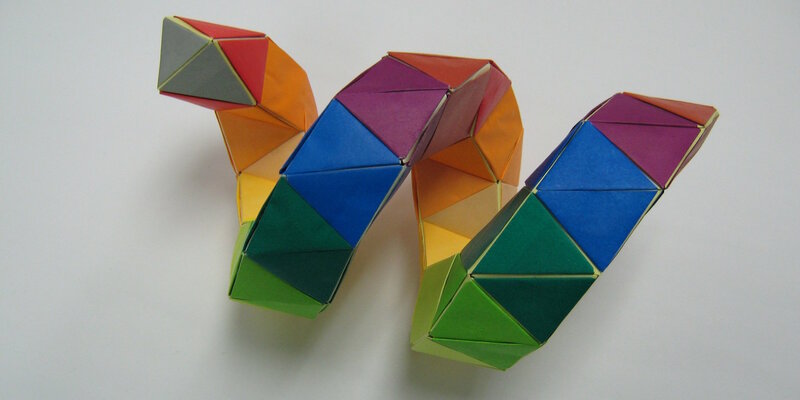 Your systems have to be flexible enough to change with unexpected situations and the times. That said, at least half the price of speed involves developing and constantly refining processes. Athletes and soldiers depend in large part on muscle memory to help them do their jobs crisply and efficiently. The same can be true for any learned action. Once you’ve studied the documentation and done the task often enough, you can go on autopilot while you brain works on other things. Routines get things done, so document every little thing required of each task. Not only does this help new people get up to speed and allow others to do your job for you if you’re ill or vacationing, it helps you become so good at your work that it becomes almost effortless. Training just reinforces this level of muscle and mental memory required to bring you up to a heightened level of efficiency and productivity. Each team member must understand the values, mission/vision, and strategic goals of the organization, and how to align the team’s goals with them. Simple, straightforward communication is key here; don’t hesitate or beat around the bush. Just tell them what you all have to do, and how to do it (it’s up to them if they want to find a better way). Urge them to ask questions if they don’t understand, and be patient as they do. If they don’t, ask them questions to ensure they understand. Tech companies constantly release new applications, hardware, programs, and patches to make their products easier to use. Microsoft is famous for it. Though there have been occasional stumbles, techno-tools like these typically help you increase your efficiency, which translates to greater speed and productivity. I love using Office365.com and having instant access to all updates; I don’t like it when the updates override the custom settings I’ve painstakingly created! Games and social media have their place, but that place generally isn’t work. Limit them to the team’s off time, unless they have a productive use. Depending on your industry, social media may be an effective way to keep up with customers, provide useful tips, and network. If so, appoint someone to maintain and track your social media contacts and load tips as part of their job. But their use of social media should apply only to work needs. Processes and tasks may have to change or evolve over time to meet new conditions. Hanging onto the old way will only work for so long. Last year, I convinced a team member who was still using the old Windows 97-2003 .doc format to upgrade. Now that he’s graduated to the modern Windows 8.1 .docs format, our communications have become smoother. Agility doesn’t just mean running around as fast as you can. Speed, flexibility, and efficiency are all productive ingredients to getting your work done right. If you’re in “run in circles, scream and shout” mode, take a deep breath. Consider the practices above—and proceed in a systematic fashion. 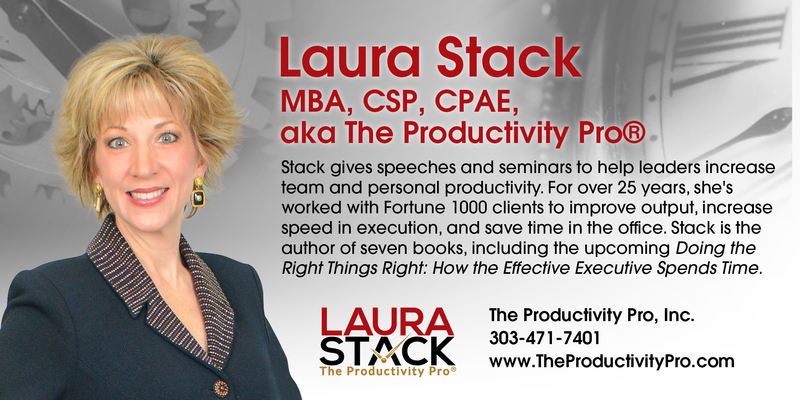 Laura Stack, aka The Productivity Pro®, gives speeches and seminars on sales and leadership productivity. 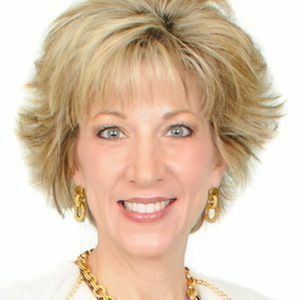 For over 25 years, she’s worked with Fortune 1000 clients to reduce inefficiencies, execute more quickly, improve output, and increase profitability. Laura is the author of seven books, including Doing the Right Things Right: How the Effective Executive Spends Time. Laura's The Productivity Pro® Follow @LauraStack on Twitter Get Laura's book — What to do when there is too much to do?